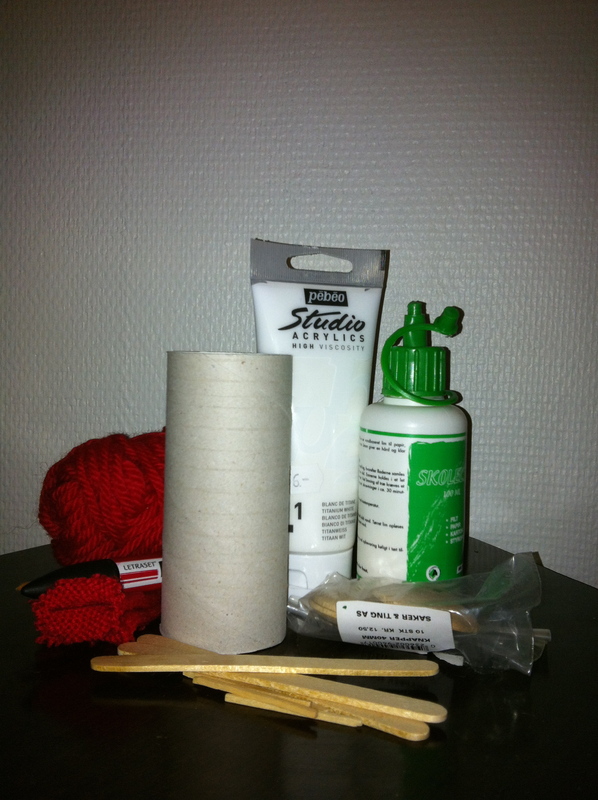 Dorullnisser is a Norwegian tradition of making Christmas ornaments out of empty toilet rolls or, as we call it, dorull. More often than not they portrayed the small creatures we call nisser. The word nisse doesn’t easily translate, but they are similar to leprechauns, dwarfs and Santa´s elves, but in Norwegian even Santa is a nisse, as his name translates to The Christmas nisse. We also use the word to explain somebody who is a bit goofy – fjompenisse. Or persons, like me, who enjoy making stuff of garbage – skrotnisse. It´s difficult to find out when Norwegians first started to make dorullnisser, but it has been a tradition for many, many years. 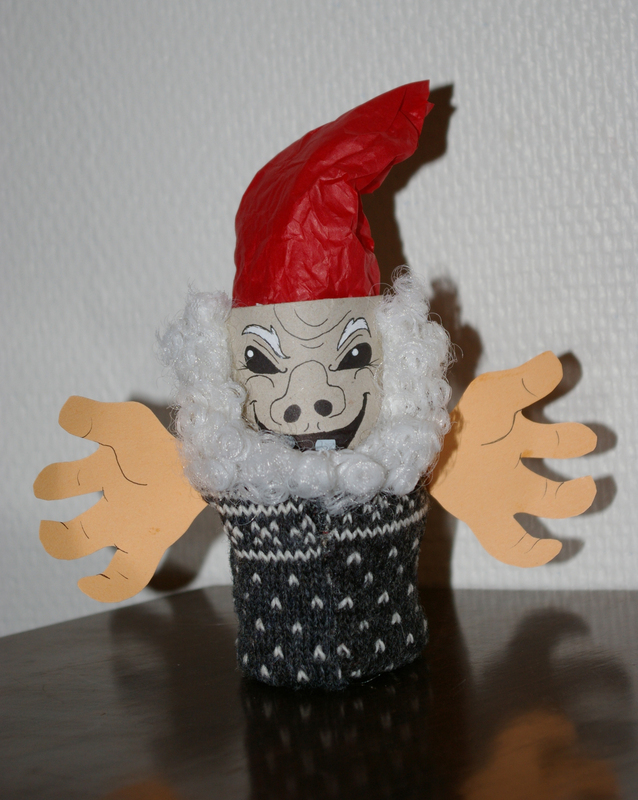 This is a perfect example of a nisse, with the hat and sweater. He might look a bit scary, but nisser can be fra more than just jolly, gift giving creatures if they are not treated right. I started making dorullnisser for Christmas 2010 because I wanted to make a calendar for my blog. Since I missed the tradition of making dorullnisser at school, I decided to revive the concept. Making Christmas ornaments out of empty toilet rolls is a peculiar tradition, frowned upon by many. But I like it. Partly because I enjoy making something pretty or useful, or at least funny, out of garbage. Since 2010 my dorullnisser have evolved. They have found their look and style, and I enjoy creating different characters, both my own fictitious and famous faces, trying to follow the rules I have given myself and finding excuses to break them. They no longer has to fit the description of a traditional nisse, who usually looks a hundred years old, sporting a knitted sweater, clogs and the iconic big red hat. However, the traditional ones will still appear from time to time, and surely they won’t be far away come Christmas. Why not make your own dorullnisse and send me a picture? I’d love to see what you’ll come up with. It’s not difficult, as it has no other rules than your own. You can send it to dorullnisser@gmail.com.